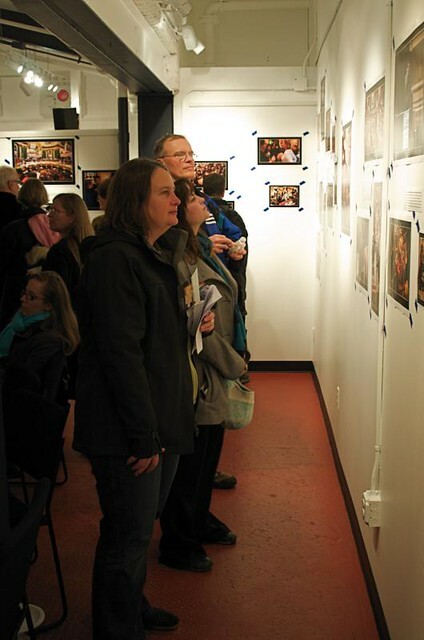 Last night was the hugely successful opening of the exhibit, "Inside, At Night: Origins of a Revolution", the photojournalistic coverage of last year's (Feb-Mar) protests in Madison, WI. More narrow in focus than 'crowds with signs' this show tells the story of those who - for lack of a better term - occupied the state capitol for 18 days and nights in an effort to slow the newly elected governor and his policy-friendly Senate and Assembly from ramming through significant changes to the Wisconsin political landscape. The opening kicks of a three-month exhibit of the works of nine area photographers (including me) who were on hand, inside, during those tumultuous days. 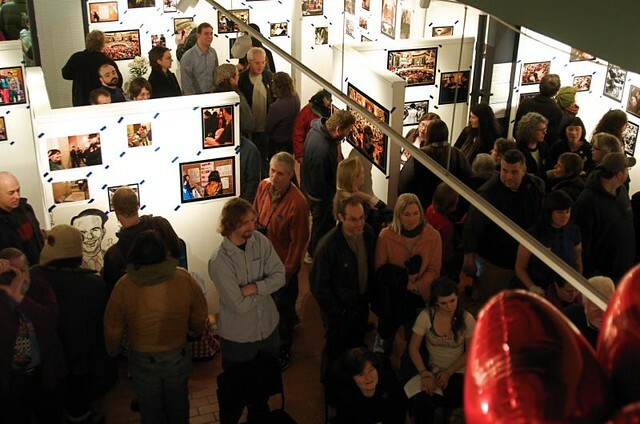 The show is at Tamarack Gallery, 849 E. Washington Ave, in Madison, WI. Hundreds came through the doors last night to see the photos and listen to speakers offer views of the way forward. The show is up for three months. Prints of all the images are for sale, as is a book that contains all the images. All are available on a tiered pricing scheme to allow those who are underemployed to support this effort. Those who find themselves flush with capital can take the high road and pay the full price. 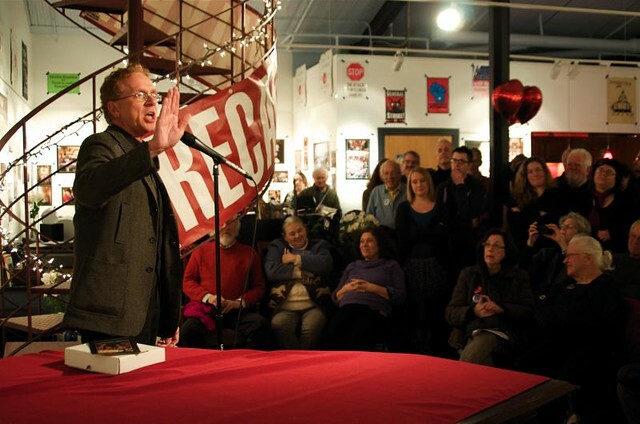 At least 40% of the proceeds from the sale of books and prints will go to fund additional efforts to recall Governor Walker. The conversation in the room last night was "What's next?" Assuming we successfully recall Walker (or do not), how do We The People keep this grass roots activism alive and in force? How do we keep our elected officials in line with the progressive Wisconsin so many of us want? There were no pat answers, but the dialog engaged many and keeps the effort alive. This is an important story being told in this exhibit, one that was not covered by news or other media outlets. I urge you to go and see what happened, Inside, At Night. There are more photos from the opening in a SLIDE SHOW.